How Are Older Employees Treated by Younger Bosses? There are challenges when young bosses supervise older staff. Taking orders from a young whipper-snapper isn’t enjoyable to many older workers. When young up-and-comers step into leadership positions and oversee more mature workers, the relationship can feel odd and uncomfortable. While the dynamics of relationships of this type vary, there are some common issues associated with younger bosses leading older workers. If your are involved in one of these work relationships -- or just observing one -- you need to be aware of them. When a young new boss takes the reins, she often expects workers to transition their communication styles from their old tried-and-true ways to the digital means she prefers. 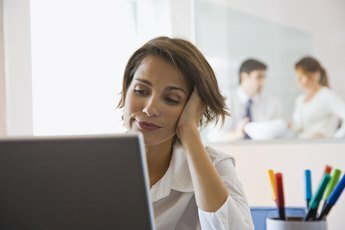 As Susan Adams wrote in "Forbes" about her own experience working for a younger boss, many supervisors enter the workplace and start communicating via digital means exclusively, sending out e-mails instead of paper memos and using instant messaging in place of face-to-face conversations. New bosses may expect older workers to use these modern communication methods without coaching or other help. That's a formula for problems. “Why isn’t this guy further along in his career?” some young managers wonder when stepping up to lead an older employee. As Kimberly Weisul reports for “Money Watch,” concern regarding why older workers haven’t advanced to leadership roles can result in bias. While some young leaders recognize and overcome this bias, others allow it to influence their decisions. So, they may give these employees less-taxing tasks because they feel that their failure to move up the corporate ladder means they are not capable. Though some bosses have no qualms about leading people regardless of age, others feel tentative when overseeing people who are old enough to be their parents. These feelings are particularly acute if the older worker makes inappropriate comments such as, “I have kids your age,” cautions Emily Brandon in “U.S. News & World Report.” Bosses who feel intimidated by older workers may rule with an iron fist in an attempt to exert their power and regain confidence. Younger bosses who question an older worker's 21st century skills may over-manage. Barbara Thau, writing in the “New York Daily News,” tells the story of one worker who, hit hard by the recession, ventured back to work and found her new boss scrutinizing her work more closely than that of her younger colleagues. While excessive oversight can be frustrating, confronting it isn’t always the best idea. Older workers feeling this pressure are best served by continuing to turn in high-quality work -- proving to the younger supervisor that the extra monitoring is unnecessary. 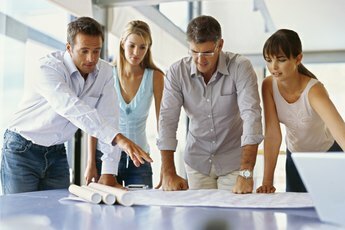 What Motivates Generation X in the Workplace?